You never really know when—or where—nature decides to give you a call. And when it does, you don't have really much choice but to find the nearest restroom and hope to the heavens their toilets have bidets. 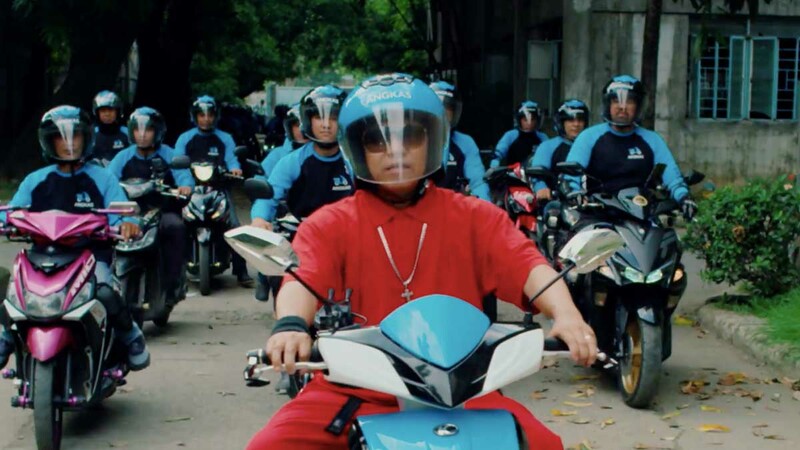 It's a game of luck, one that's sure to get you even more anxious than you already are, but the Instagram account @meronbangbidet might just be able to help you. 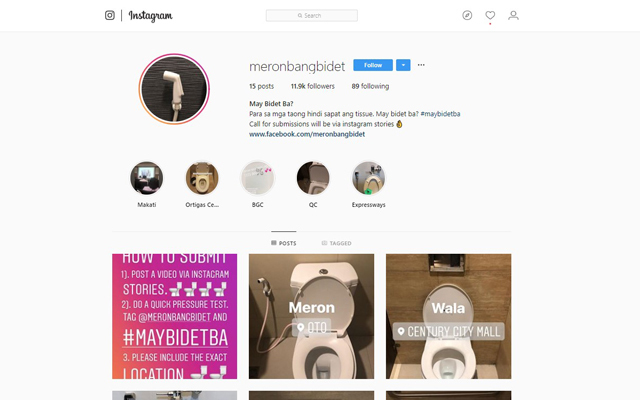 Posting photos of different toilets found around the Metro, @meronbangbidet seems to be on a mission (that will probably save you at least once or twice): To disseminate valuable information about each restroom's, well, "poopability." The feed, while not as aesthetically pleasing as most, is simple but useful. Each photo's location is readily visible at the top of the image, along with the much-needed answer to the question "May bidet ba?" The toilets are assessed in terms of cleanliness and the bidet's water pressure to determine "poopability." Sometimes, notes are also included at the end of a caption, describing the ambiance, lighting, or even things like the restroom floor being wet or a trash bin blocking the door. 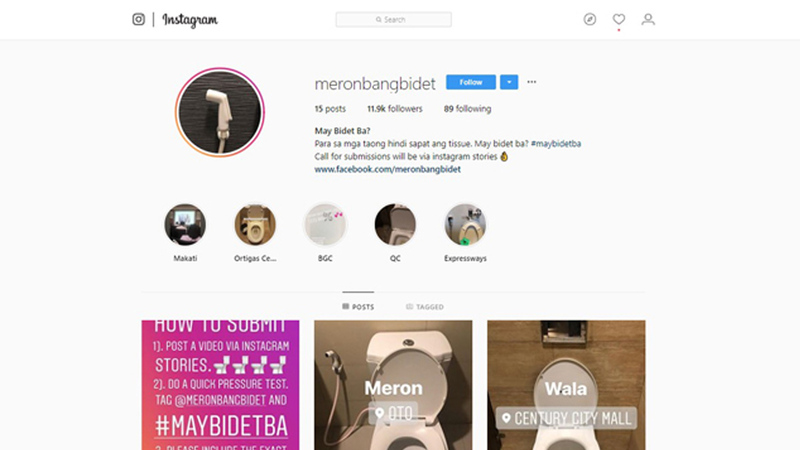 The account's first photo on Instagram was posted on November 3, but @meronbangbidet has already been making rounds on social media. People have been sharing the news, expressing their appreciation and—of course—taking the opportunity to publicly tag friends they think would find the information extremely handy.